This week, we welcomed Solomon Street to Regent Arcade. Established by Lauren Crago, this Adelaide-based brand creates ethical and sustainable clothing and swimwear. Having popped up at markets and other events, this is the first bricks and mortar store for the brand. 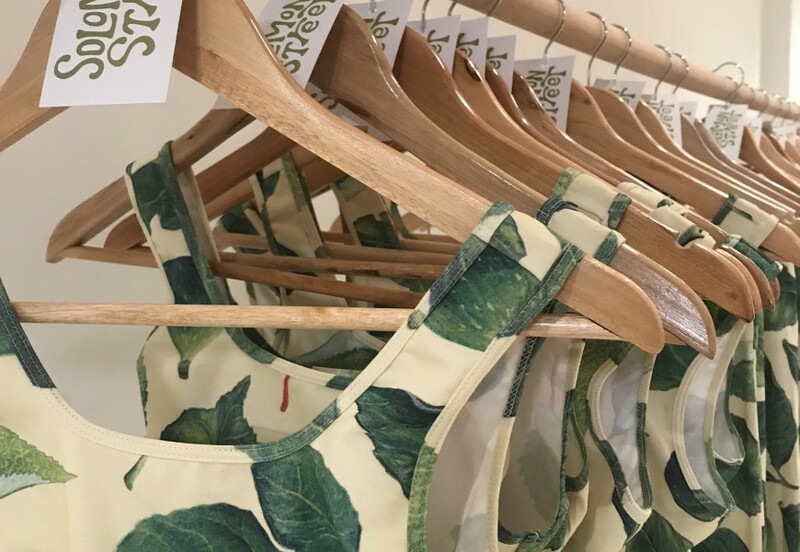 Original prints – the current range features fig leaves, grapefruits + more – feature heavily amongst the swimwear, active wear, clothing and accessories. Only natural new materials are used across the Solomon Street product range or recycled petroleum based where necessary. 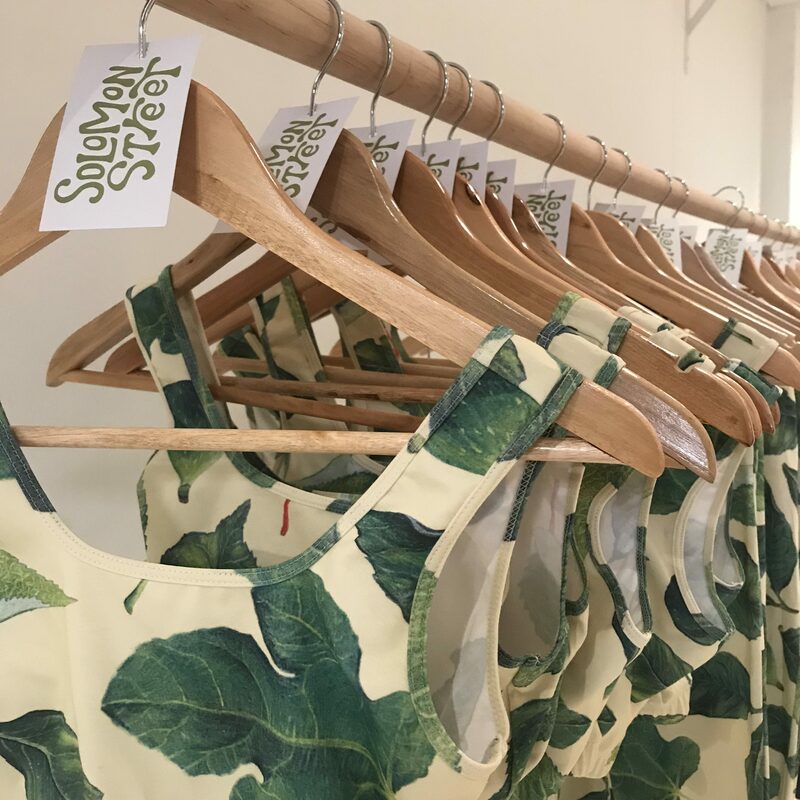 Part of Solomon Street’s mission is to also help fund life-bettering projects for our local and international community which is why the brand supports organisations doing good things.